This is a great adaption for the holidays! This playdough recipe smells like freshly baked gingerbread cookies. If you want a playdough recipe that you can eat, try our peanut butter playdough recipe, it’s actually really tasty! Add small amounts the spices you prepared to the mix until the scent is satisfactory. 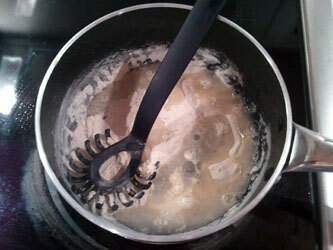 Mix water and oil in a separate bowl. Mix together both bowls into a large pan. 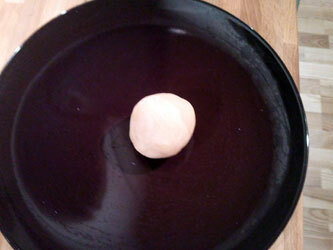 It needs to cook for two to three minutes, or until it is dough-like. Enjoy the great scent in your whole house. 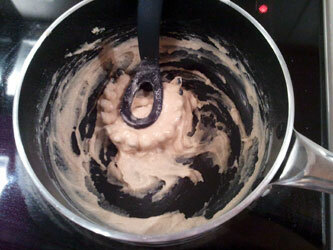 This is another really simple playdough recipe, and the scent it leaves is just amazing, you definately have to try it! Let’s dig into how to make that delightfully scented playdough. You can basically use whatever spice you want to, I used ginger this time. We need the ingredients, so let’s collect them. We have some ginger, flour, salt, cream of tartar, water and oil. The water is already mixed with the oil. 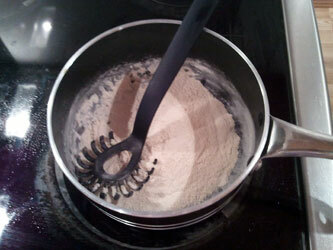 Mix the dry ingredients in a pan. It should look like this. 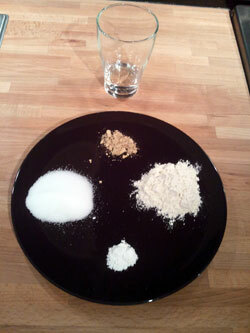 Add the liquid ingredients to the dry ingredients, like this. Stir it together until all lumps are gone. The texture should be smooth, like this. 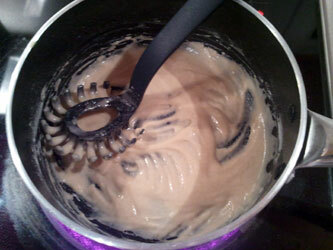 Start cooking the mixture on medium heat, while stiring. 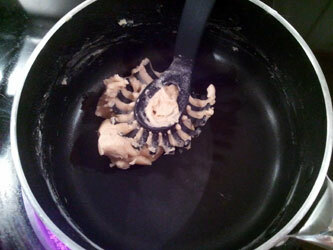 After a minute or so the texture will become more solid. After 3 minutes or so the playdough will be all finished. It usually looks like this. In the end we have the finished playdough. I went for natural, color free look this time. It goes well with the ginger scent. Karen – It’s like the soft child’s dough…it does dry, but it becomes crumbly/rubbery in a way that wouldn’t be ideal for modeling or crafts. It’s for play. Excellent recipe. Made it on the stove. Preheated the oil and water a bit, added a dash of vanilla extract. Stirred in the premixed dry ingredients. It came together very quickly. Added some gold glitter. My little guy loves it. Thank you.